AIRBNB provides a refreshing alternative to the chain hotels that we come across on our travels. When you are on the road, the service allows you to meet new people and makes you feel like you are still at home while exploring new parts of the globe away from home. If you need a suggestion on what to check out or where you want to eat, the best thing is to ask a local and make them your host. He or she may even be your roommate as well and not only that, some of these accommodations reach absolute baller status. The following are 12 New York City Airbnbs that are nice to spend a night in. 1. 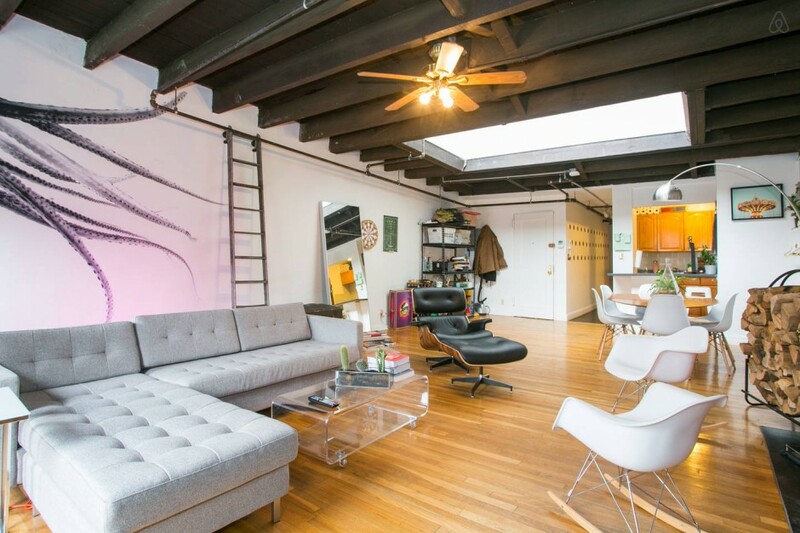 This Williamsburg loft consists of an open floor plan and 14-foot-high ceilings together with an outward-facing wall that is actually a giant window providing movie-like views of the Williamsburg Bridge, the Empire State Building, and the Chrysler Building. 2. 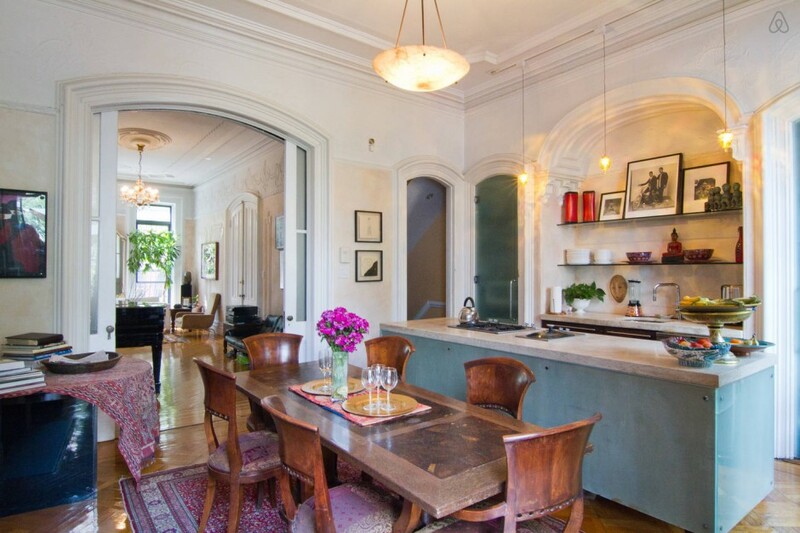 This Brooklyn brownstone is referred to as “unusually large” and “spacious”. It measures 10,000 square feet. The loft was decorated by the owner, Jessica Warren. She is an interior designer which thereby explains a lot. The interior furnishing and decorations are an eclectic mix which ranges from vintage finds to auction-worthy goods. 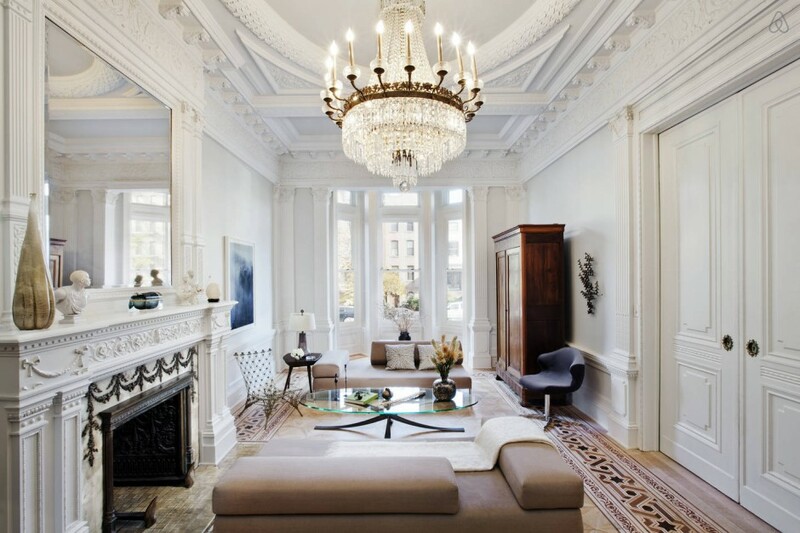 This apartment consists of a 105-foot-deep parlor. 3. 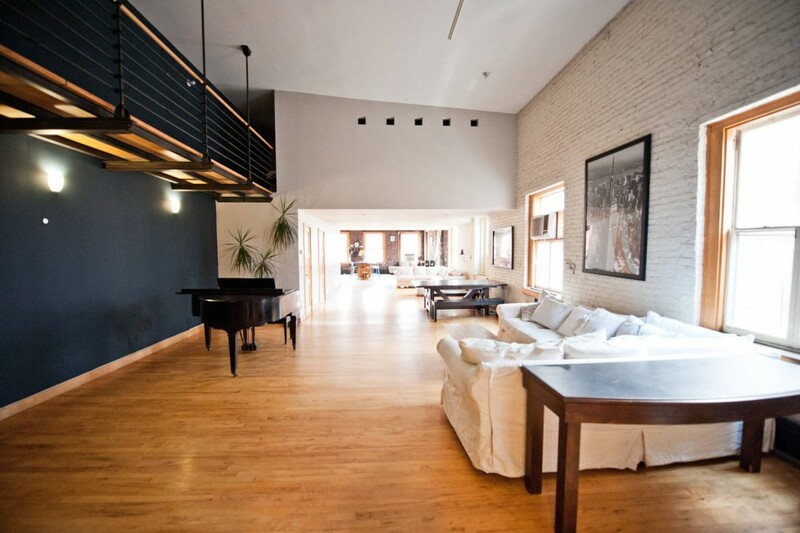 This SoHo loft is 4,500 square feet and consists of six bedrooms and three bathrooms. Calling the floor plan “open” would be a serious understatement. The exposed brick contrasts with the white walls which give the apartment a rustic but modern look. It is located only one block away from Broadway, which makes the place ideal for those looking to sightsee. 4. The terrace in this Financial District loft is its money maker. If you have to work while on the road, the south-facing terrace is not a terrible place to do so. The apartment’s modern décor is complemented by pieces which are purchased during the owners’ “global travels.” Amenities include a hair dryer, robes, slippers together with a “do not disturb” sign to make you feel like you’re staying in a hotel. 5. 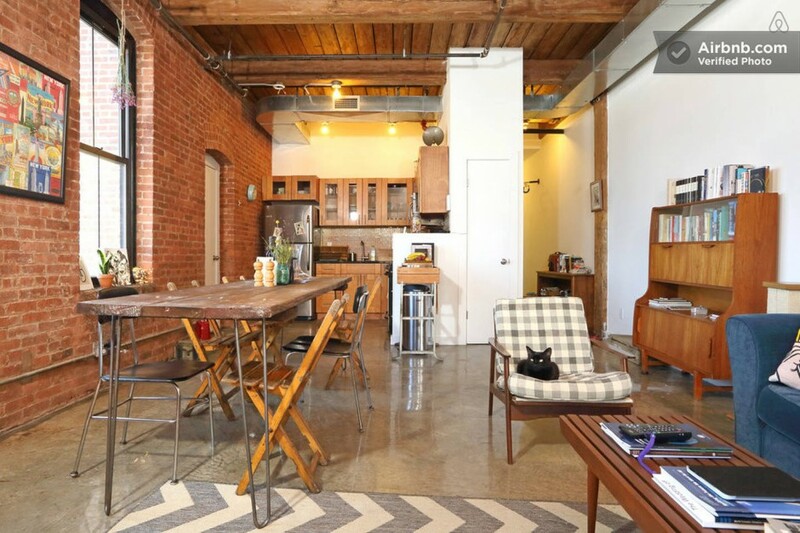 This loft in Tribeca is not a terrible place to spend the night in if you are travelling with seven people. The apartment measure 2,100 square feet consisting of three bedrooms, two bathrooms, and 14-foot ceilings. The fact that one of Airbnb’s founders spent some times here means that it is something pretty great. 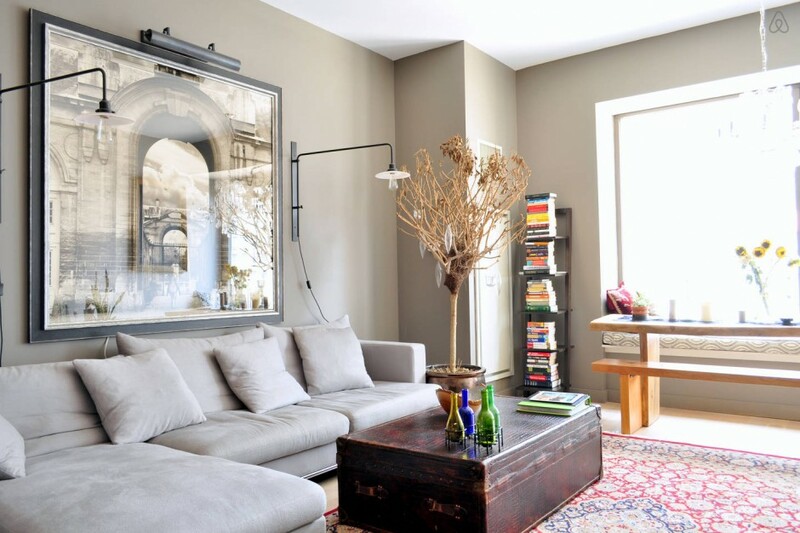 Antiques and modern art pieces are found all over the apartment, keeping guests’ eyes wandering. If you decide to host a dinner party, invite a sizable group so the table will not look so empty. 6. 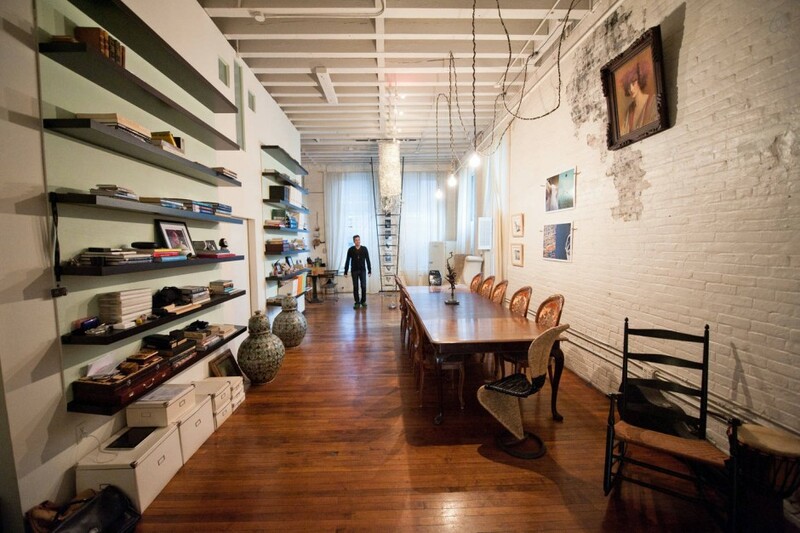 This SoHo loft is frequently used as a location for studio production and editorial features. This apartment measure 2,000 square feet and consists of two bedrooms and two bathrooms, while if desired, the dining room can be converted into a third bedroom. The clean aesthetic of the property is impressive, together with the kitchen’s abundance of counter space which is a godsend if all guests want to cook at once. 7. This West Village loft consists of a large living room with an operational fireplace, vintage furnishings and a mural of an octopus. It is located on the top floor of the building, with a skylight which keeps the living room bright. 8. The Turkish rugs and marble tiles give this Clinton Hill apartment a Moroccan feel. The combined effect of the artwork and the molding on the living-room walls and ceilings takes you to a different place as you sit down to play the piano. The bedroom you will stay in is designed by Harry Mitchell, which is a new addition to the house. 9. 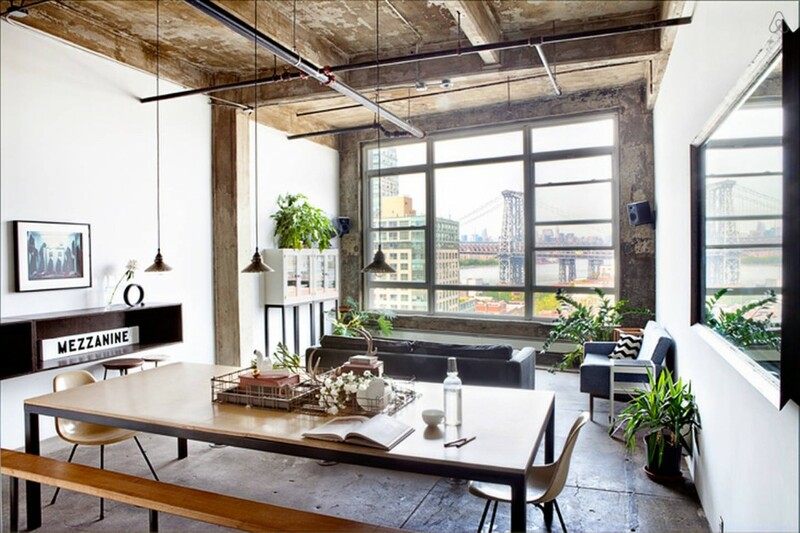 The Greenpoint loft is a conversion of an old pencil factory with nice touches that you will not see in any large hotel – one of which is the small herb garden in the kitchen. If you are lonely, make sure to make friends with Bear the cat. The light and dark wood tones and exposed brick walls give the apartment a rustic vibe. 10. 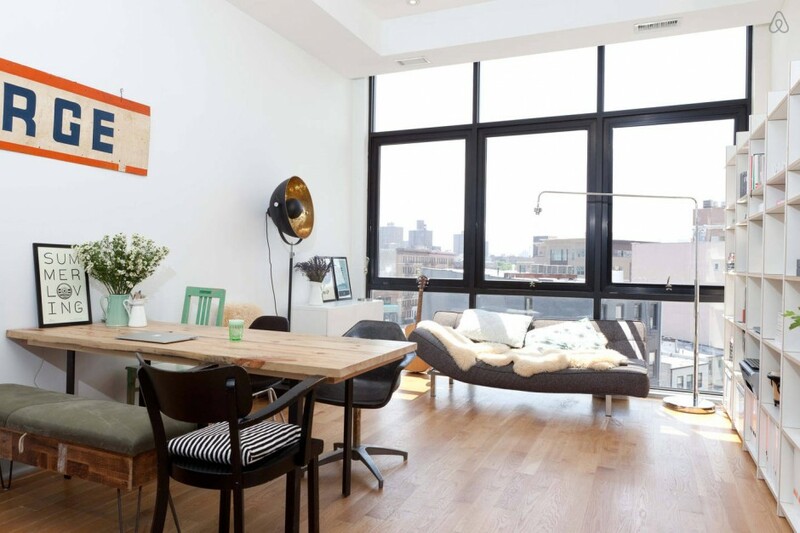 This Williamsburg apartment is available for up to four people for weekly stays. 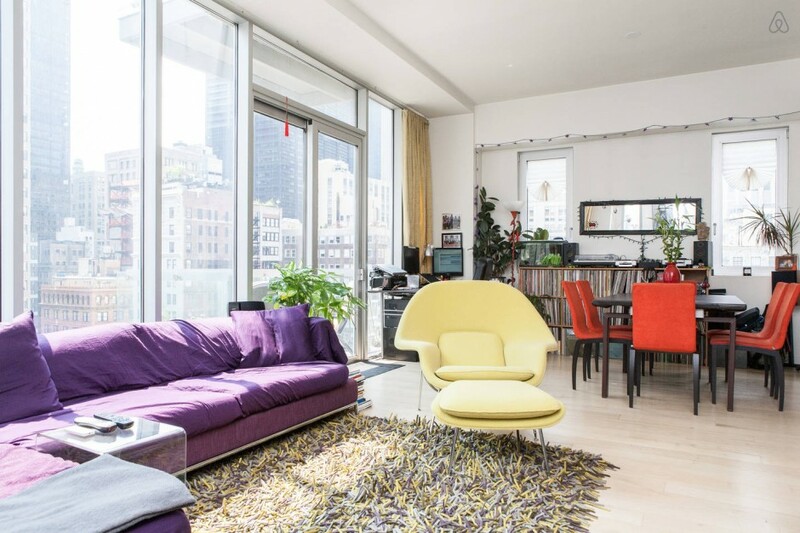 It consists of two bedrooms and a private balcony which provides views of Manhattan New York. The small touches of art and décor make the difference in this bright loft. The roof can be accessed 24/7, meaning you can easily watch the sunset. The apartment consists of a central A/C unit also with a welcoming surprise for those hot New York summers. 11. Despite the $25 fee for Wifi, this Lower East Side/East Village apartment has an aesthetic that is more than worth it. Besides, chances are high that there is free wifi somewhere around the block. It consists of laundry room access, new furniture, and views of the city. 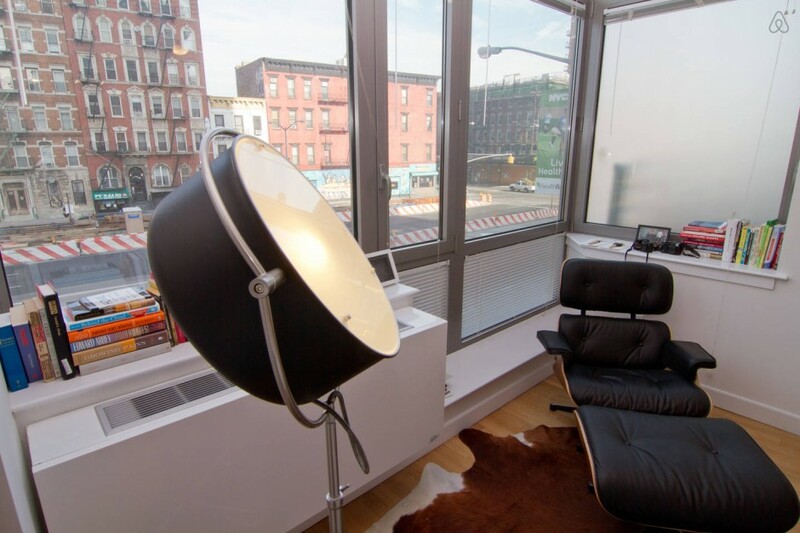 The best thing about this apartment is that it gives visitors a large window into life in New York City. 12. This Manhattan condo will make you feel like you are at the top of a hotel. The windows are six feet tall, meaning it shows amazing views of the city. The open floor plan allows you to cook while entertaining your guests at the same time. The cabinetry comes from an Italian design studio, and the stone counters are Mont Blanc Agglomerate. The furniture looks like it belongs in a Restoration Hardware catalogue. There is a 24-hour concierge too if the kitchen tile backsplash and matching fridge are not enough.